Smiling yet sad, shining yet shadowed, you can almost feel the pain. The trees make for good framing of this picture. This is what the 4th or 5th picture of the Taj on your blog, and I think with each one of them you have managed to capture that wonderful sense of magnificence so beautifully. At first i wanted to mention that the white exposure should have been toned down a bit, but i think that would have tampered with the essence of the pic. Sometimes you become so accustomed to something you know of, you take it for granted. Looking at these pics, putting my self aside, just makes me appreciate it so much more. I hope I get to visit it again some time. 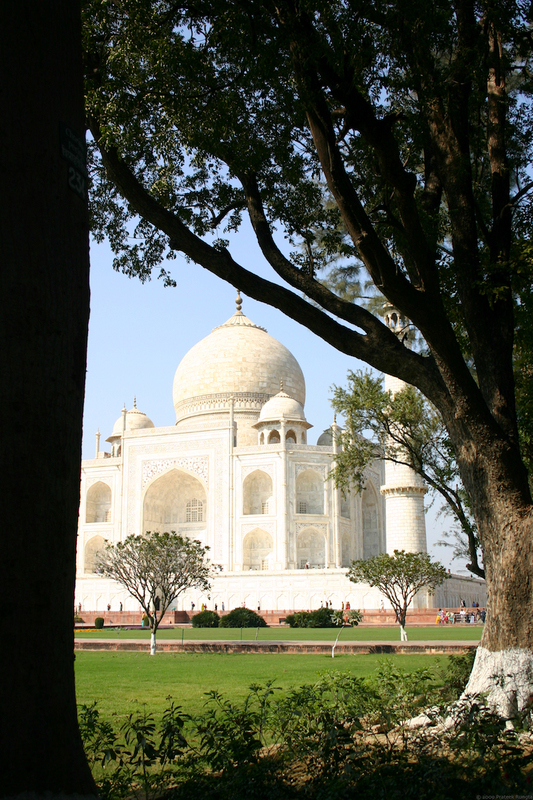 No matter which angle you look at it from, the Taj always appears magnificent. And what an apt name too. True, true. I wish I could RC(like RT) what Rashmi says each time in your comments section. i wonder if 234 is the tree number? as in the 234th tree! thats kool! oh the Taj’s kool too. and i do like the security question. I always stumble upon your blog weeks after you’ve posted the last picture. And I somehow cannot help but leave a comment. Reminds me of the myth about the black Taj Mahal. 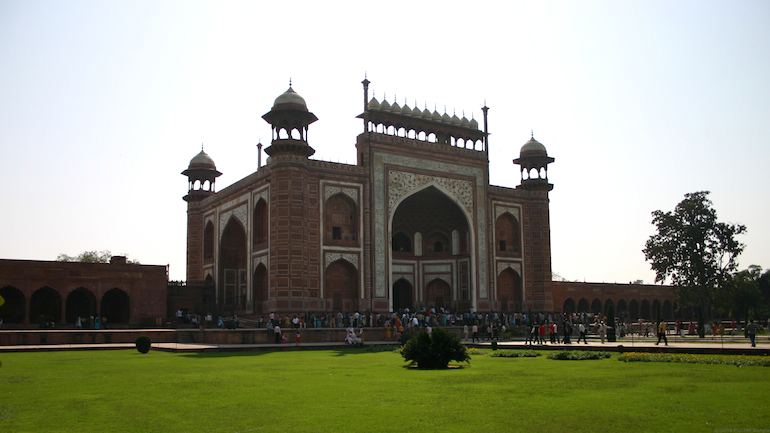 It is said that Shah Jahan was planning to build a tomb for himself across the yamuna river but in black stone. And he also wished to build a bridge made of gold connecting the black and white tombs. But his son Aurangzeb captured him before he could fulfill his wish. I didn’t know about the black Taj myth. Interesting.